Rory Gilmore is a know-it-all, but I envy her ability to read hundreds of the best books ever written while still managing to get through school, maintain an active social life, and work on the school newspaper. For those who have no idea who Rory Gilmore is, she’s one of the main characters from Gilmore Girls, a TV series that ran from 2000-2007 about a quirky mother and daughter duo who live in a small town. Both are too weird and beautiful to be real, but they are fun and bookishly inclined. If you want to compare your reading habits to hers, you can find the full list HERE. 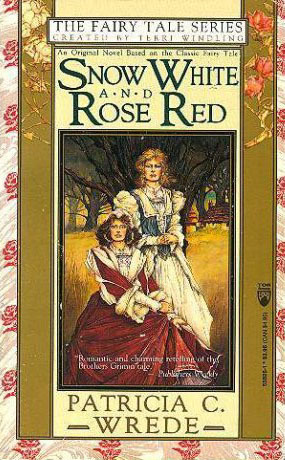 Snow White and Rose Red by Patricia C. Wrede – This is one of those books that I’ve been meaning to read forever but never seem to find the right time to read. It shows up in my Goodreads Suggestions all the time, and I’m pretty sure I downloaded a copy at some point for my Kobo (the list is such a blur) but it continues to languish on my “unread” list for now. Synopsis: Once upon a time fairy tales were written for young and old alike; it is only in the last century that they have been deemed fit only for children and stripped of much of their original violence, sensuality, and power to frighten and delight. Patricia C. Wrede brings Snow White and Rose Red back to an adult audience, in this romantic and magical retelling set in the enchanted forests of England at the time of Queen Elizabeth. 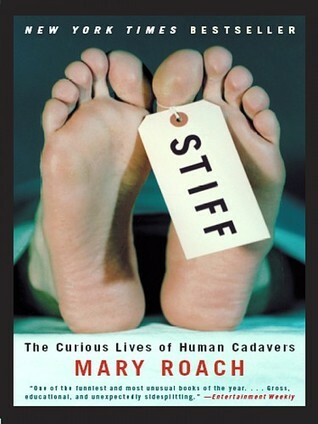 Stiff: The Curious Lives of Human Cadavers by Mary Roach – This is another book that has been on my to-read list for a long time. I saw it during my first year at the bookstore and thought it looked really interesting. I like reading about weird history and this is about as weird as it comes. Synopsis: Stiff is an oddly compelling, often hilarious exploration of the strange lives of our bodies postmortem. For two thousand years, cadavers—some willingly, some unwittingly—have been involved in science’s boldest strides and weirdest undertakings. In this fascinating account, Mary Roach visits the good deeds of cadavers over the centuries and tells the engrossing story of our bodies when we are no longer with them. 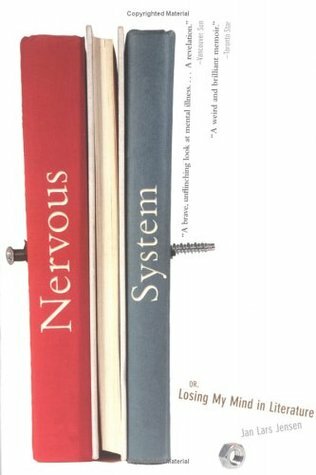 Nervous System: Or, Losing My Mind in Literature by Jan Lars Jensen – I think most of us who blog about books have probably wanted to be an author at some point. I think it must be incredibly stressful for authors who write a bestselling book the first time to try to live up to that hype. This book looks like a fascinating insight into one author’s struggle with that issue. Synopsis: A quiet librarian who struck publishing gold with his first novel, Jensen felt as if something had come unhinged in his mind. The rush of ideas and language felt like losing, willy-nilly, a chunk of his mental stability. But true madness didn’t come until the countdown to his book’s release into the world. A few months after selling his novel to a major American publisher, Jensen woke in a psych ward bed, only to find the ideas that had inspired him now roamed through waking nightmares that deranged him. Just as literature prompted Jensen’s slide into paranoid obsession, so did it help him rebuild and recover. Whether he was groping to comprehend James Herriot’s veterinarian stories through a haze of antipsychotic medication, deciphering his psychiatrist’s references to Patrick O’Brian novels, or attempting to steer his recalcitrant mind toward sleep with a history of logging, books and writing defined Jensen’s world. This memoir recounts Larsen’s extraordinary experience. Girl Interrupted by Susanna Kaysen – I didn’t even know this story was a book before seeing the movie, but I love the film and have watched it many times. I keep meaning to read the book, but always seem to forget about it when it isn’t in my line of sight. I should probably get a copy just to keep a reminder on hand at all times. Synopsis: In 1967, after a session with a psychiatrist she’d never seen before, eighteen-year-old Susanna Kaysen was put in a taxi and sent to McLean Hospital. She spent most of the next two years on the ward for teenage girls in a psychiatric hospital as renowned for its famous clientele — Sylvia Plath, Robert Lowell, James Taylor, and Ray Charles — as for its progressive methods of treating those who could afford its sanctuary. 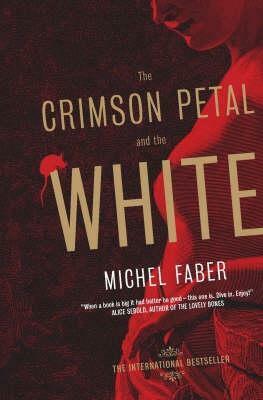 The Crimson Petal and the White by Michel Faber – Apparently this book is huge, and some people find it hard to read, but it looks really interesting. If I’m going to read any historical fiction I want it to be a really different type of story. I like to read about the seedy underbelly of life, whether it’s about prostitutes, or mental institutions, or spies, or orphanages. These are the real world stories that make history interesting. Synopsis: Sugar, 19, prostitute in Victorian London, yearns for a better life. From brutal brothel-keeper Mrs Castaway, she ascends in society. Affections of self-involved perfume magnate William Rackham soon smells like love. Her social rise attracts preening socialites, drunken journalists, untrustworthy servants, vile guttersnipes, and whores of all kinds. 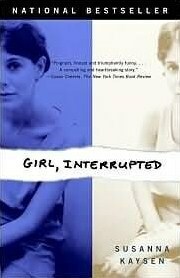 Girl Interrupted is a book!? How did I not know this!? I must find this book and read it. I loved Gilmore Girls and always envied Rory. Ahhh totally checking out this list! Love Gilmore Girls? Did you know Netflix is making a revival?? Ooo… I didn’t know that! I decided to start rewatching it on Netflix after making this list. This will only be the 10th or so time I’ve watched each episode… that’s healthy, right? I DIDN’T EVEN KNOW THIS WAS A LIST THAT EXISTED!!! I’m so excited!!! 😀 I’ve read 90/339. But quite a few of these are not really interesting to me. Haha, I’m glad I could direct you to it. 🙂 I haven’t read many of them, and I’m definitely not interested in a lot of them, but it’s a fun list to check out. Rory definitely had an eclectic reading style.